Luminis Books, Inc., 9781941311943, 320pp. High school graduation is a time for goodbyes, new beginnings, and if you're Lainey Young, narrowly escaping with your life. Forced to leave behind both Northbrook Academy and Carter Penrose, Lainey believes she's earned her freedom--from the eyes of the Perceptum and Daniel Astor's schemes. When tragedy brings Lainey and Carter face to face for the first time since summer, their lives have never felt more separate. Cara Bertrand is a former middle school literacy teacher. 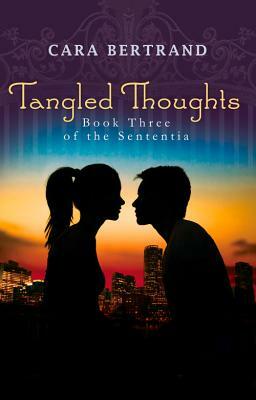 Her first novel and the first book in the Sententia series, Lost in Thought, was a finalist for the 2011 Amazon/Penguin Breakthrough Novel Award. She lives in Sturbridge, Massachusetts.